When you supply any personal information to the Website we have legal obligations towards you in the way we use this data. We must collect the information fairly, that is, we must explain how we will use it and tell you if we want to pass the information on to anyone else. In general, any information you provide to us will only be used within The Wedding Industry Awards. Your information will be disclosed where we are obliged or permitted by law. Also, if you post or send offensive, inappropriate or objectionable content anywhere on or to the Website or otherwise engage in any disruptive behaviour on the Website , we can use whatever information that is available to it about you to stop such behaviour. This may involve informing relevant third parties such as your employer, e-mail/Internet provider and law enforcement agencies about the content. We will not contact you for promotional purposes, such as notifying you of improvements to the service or new services on the Website unless you specifically agree to be contacted for such purposes at the time you submit your information on the site, or at a later time if you sign up specifically to receive such promotional services. We collect personal information about you when you give this to us in the course of registering for and/or using our Website, for example, when you vote for an Entrant, subscribe to receive our newsletter. When you use our Website, we may also store information about how you use our Website, for example, entering a / your business into the awards, voting for Entrants, nominating a wedding supplier(s), subscribing to receive the newsletter, the pages viewed, the website from which you came to visit our Website, changes you make to information you supply to us. to help diagnose problems with our server and to administer the Website. Third parties, including but not limited to companies whose products or services are included on our website with a view to providing you with information requested by you. When these companies use your data in this way, they will be acting as data controllers of your information and therefore you should view their privacy policies or contact them directly for further information. 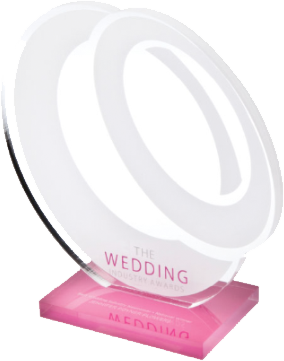 For further information about these third parties, please contact us at support@the-wedding-industry-awards.co.uk. Some third parties with which we share your information may use it to carry out research such as analysis of market trends and customer demographics and to customise and develop the product/service which they offer to you or other individuals in the future. We will only advise you via e-mail, post, telephone or by text of products, services and other offers we think may interest you if you have specifically granted your consent to receive such communications. Whenever you provide us with personal information, we will give you an opportunity to give your consent to us and others to use and share your information for marketing purposes. After giving your consent, you can also ask us at any time to stop passing your information to third parties for marketing purposes, which we will do. Such a request may result in us ceasing to offer the services to you. A cookie is a very small text file placed on your computer. Cookies help us to keep track of the pages you and other visitors have been to on our Website and to tell us whether you have visited the Website previously in order to deliver a better service. You have a right to access information held about you and you can do this by emailing support@the-wedding-industry-awards.co.uk. Any access request may be subject to a fee of £5 which we are legally entitled to charge you to meet our costs in providing you with details of the information we hold about you. You can also request us to correct any factual inaccuracies in that information or delete any of that information from our records. You may complete a registration process as part of your use of this Website which may include the creation / provision by us of a username, password and/or other identification information. Any username, password and/or other identification information must be kept confidential by you and must not be disclosed to, or shared with, anyone. Where you do disclose to or share with anyone your username, password and/or other identification information, you are solely responsible for all activities undertaken on this Website using your username, password and/or other identification information.